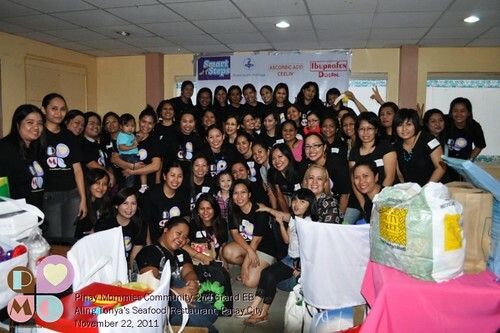 I used to have only a handful of friends in the blogging community until I joined the Pinay Mommies Community (PMC). For those who are not familiar with our group, the Pinay Mommies Community is a group of Pinay mommy bloggers not only from the Philippines but also from other parts of the world. Founded by Ruby Ricafrente of PinayMommyOnline.com in January 21, 2008, the group aims to help each member develop as bloggers while fostering camaraderie through delightful social interaction. Mommy blogger members of PMC hung out and bonded more in our Facebook Group. 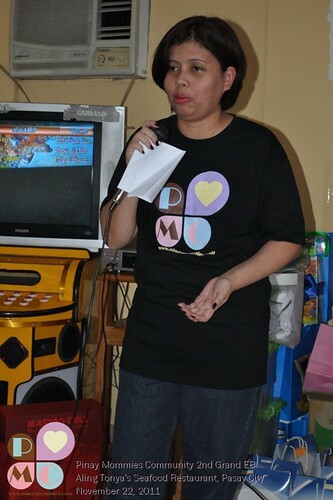 Proof of this is the first-ever PMC eyeball that was held last April and the 2nd Grand EB was held last November 22, 2011. A total of 48 blogging moms attended the meet-up, not to mention that some of them came with their supportive husbands and cute kids! 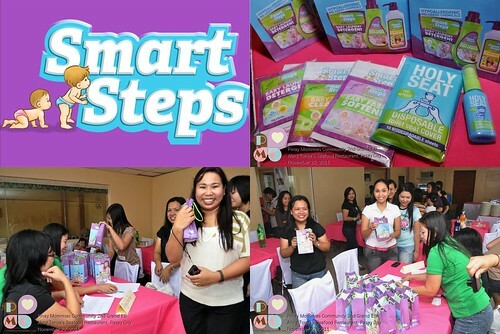 Smart Steps of EVEolution, Inc. gave each mom samples of their baby-friendly and hypoallergenic line of detergent, fabric conditioner and bottle cleanser. We also got samples of Holy Seat disposable toilet seat covers and sanitizers. 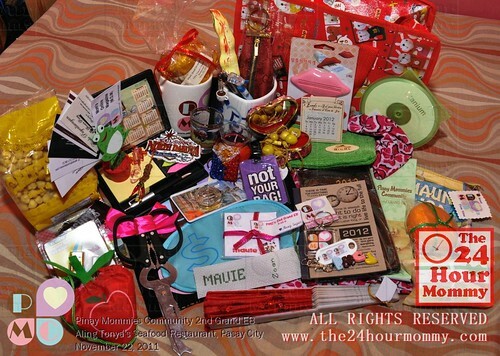 Moreover, they raffled off prizes much to the delight of the lucky mommy blogger winners! Unilab, Ceelin, and Dolan also gave us gift packs of their products. I'm so happy because I get to share the contents of the package to my boys, too. (See the big bottle of Ceelin? Happiness!) They also raffled off items to lucky PMC moms. 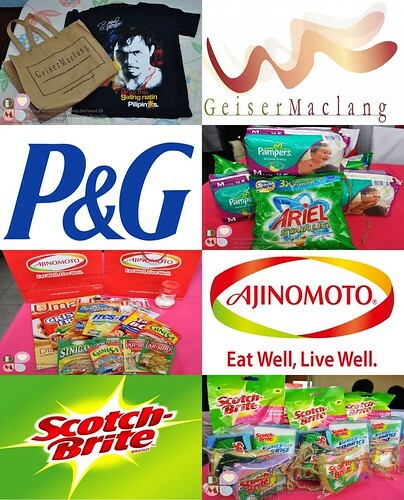 Each mommy also got to take home gift packs from our generous minor sponsors, Ajinomoto Philippines, Scotch Brite, P&G Philippines, and Geiser Maclang. 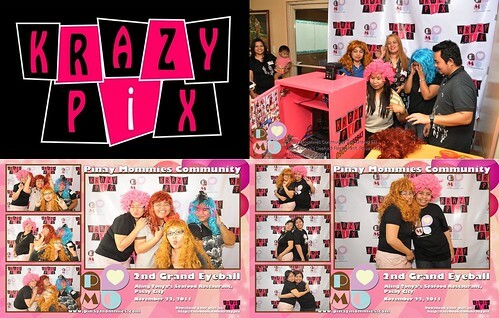 Lastly, the event was made more memorable with photos taken by Krazy Pix photobooth. I really had a fun time doing wacky poses with Pehpot, Iris A. and Iris P.
I may have been tired from going around and taking photos for the group during the event (Mommy Eihdra and I were the designated official photographers) and going home from Pasay to Cainta with 3 big bags of loot and tokens (wee! ), I was really happy having met the mommy bloggers that I only usually see online. I personally commend Ruby and Pehpot for their tremendous effort in organizing this event, to all the committee members, and to all the mommies who attended. I am so excited to see, chat, and giggle with you all again! Thank you so much for all of these!!! PMC's 2nd GEB was a lot of fun! Hope to see you again soon, Mauie!